Looking to speed up your PC? 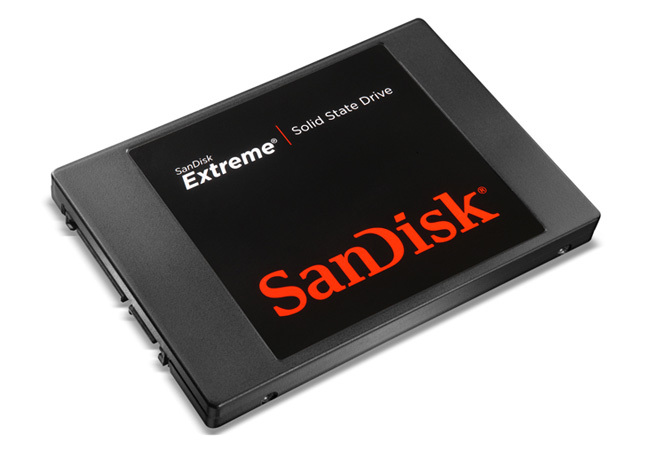 Then this is the competition for you, as we've teamed up with SanDisk to give you the chance to win one of two 120GB Extreme SSDs! This blazing-fast drive pairs a SandForce SF-2281 processor with SanDisk's own 24nm Toggle Mode NAND memory to deliver blistering read speeds of up to 550MB/s via a SATA 6Gbps interface. And, with no moving parts, it's quieter, cooler and more resistant to wear than a traditional hard drive. It's an incredible prize and all you need to do to be in with a chance of winning is answer the simple question below or enter via our dedicated Facebook competition page. And don't forget - you can enter using both methods to get a free second entry and increase your chances of winning! It'd be nice to win but then wouldnt everything. Good luck to all that enter. 120GB SSD would sure make a nice addition! Thanks SanDisk And HEXUS! Cool prize! I want to win! Thanks for the WW giveaway!